Chengli Special Automobile Co., Ltd. is the leading manufacturer and supplier of road sweeper trucks in China. With many years’ development, we Chengli Special Automobile Co., Ltd. could offer ISUZU road sweeper truck, forland street sweeper truck, dongfeng brand road cleaning vehicle, JMC brand road sweeping vehicle, JAC brand street sweeper, FAW brand street sweeping vehicle, etc. More information, please feel free to contact with Ms. Anita. The hot sale is 0086 13886878855. 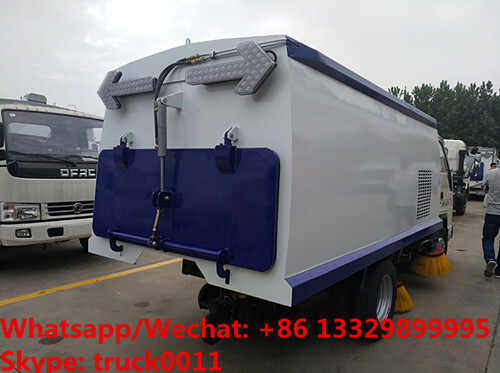 1, the CLW Brand road sweeping vehicle truck adopts the ways of suction and mixing to collect wastes , wet dust removal, electro-hydraulic control, hydraulic dumping and unloading operation mode to clean the road surface. 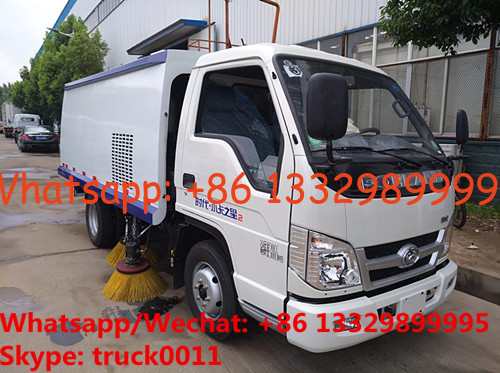 2, The CLW brand street sweeping truck adopts auxiliary engine driving the fan and hydraulic system to ensure the continuous operation during the driving process and ensure the continuity of the cleaning process. 3,The CLW road sweeper truck adopts the structure layout of “Center 4 sweeping disc + spray dust reducer + center partition + rear suction nozzle”, so that the sand and gravel are not splashing dust during the cleaning process, this layout is convenient for the adjustment and maintenance of the cleaning device and the suction cup. The vehicle passing through the field is good. 4, The transmission between the auxiliary engine and the fan is equipped with an automatic clutch, which can ensure the automatic separation of the auxiliary engine from the start of the no-load and the shutdown of the fan, reduce the impact on the auxiliary engine, and improve the working reliability and service life of the auxiliary engine. 5, the sweeping disk has an automatic avoidance protection function and an automatic reset function, and automatically retracts when encountering obstacles, and automatically returns to the obstacle. 6, the sweeping speed can be adjusted according to various cleaning conditions, which can ensure good cleaning effect under various pollution conditions. 7, the road sweeper adopts advanced and efficient dedicated fan and fully floating nozzle which can automatically level with the road surface. It has good cleaning effect and long service life. 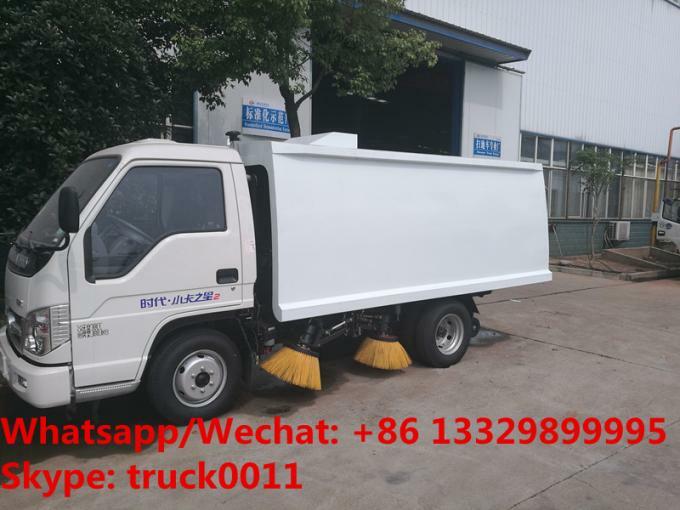 If you're interested in our street sweeping vehicle, please send email to szhj9999@163.com or talk to Anita by Whatsapp/Wechat: +86 13329899995. More pictures of Forland brand 4*2 LHD diesel mini street sweeping truck manufactured by Chengli Special Automobile Co., Ltd. as below.